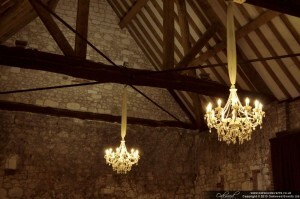 We installed a pair of our new white chandeliers at a barn wedding last weekend. We think they looked amazing suspended from the beams. The area was used for the drinks reception in the afternoon and then for dancing later on, so we connected the chandeliers to dimmers so that they could be nice and bright in the day and turned down to a dim glow in the evening. 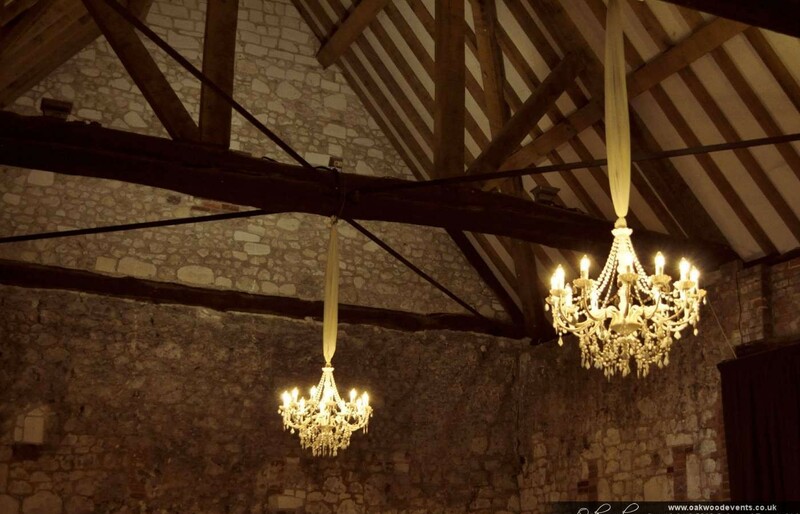 We have white, black and crystal chandeliers available to hire. We deliver, install and collect – contact us for details.